Access Church has simple roots. Before there were Sunday morning services, before there was a staff, before we even had a name or a bank account, there was a small group of people meeting...to pray. Their prayers were pretty simple. "God, this isn't our thing, it's your thing." At the exact same time Stephanie and I were being challenged to plant a church. Something we'd never done. Yet, we felt strongly called to this city and this movement. We began to constantly pray, "God, this is your idea, not ours, so it's up to you to make this work." I'm so grateful for the foundation of this church. I'm so grateful for all of you who join us in praying that God would use this church in the lives of those we love. More than 50 of you have committed to regularly pray for Access Church. Here's why that is so exciting! Prayer aligns our hearts with God's. We begin to see people the way he sees them. It's an exercise in submitting our will to his will. It's an opportunity to acknowledge our dependence on his wisdom and provision. When we pray, we see the mission through his lens, not ours. It means that when I drive past a great piece of land on Gate Parkway I've stopped praying, "Lord, give that to Access," but rather,"Use that for your glory, Lord." 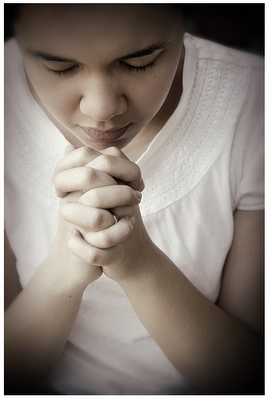 What are some other ways you can think of praying for Access? Baptism, What's the Big Deal?